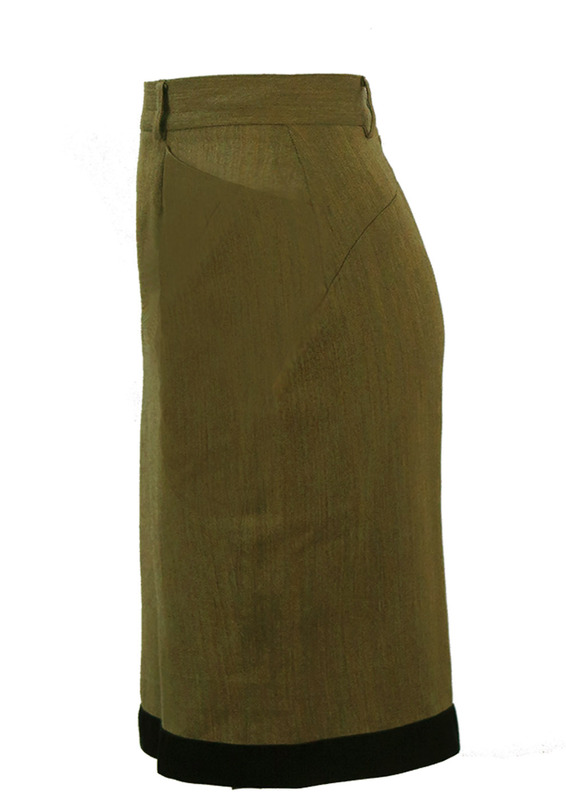 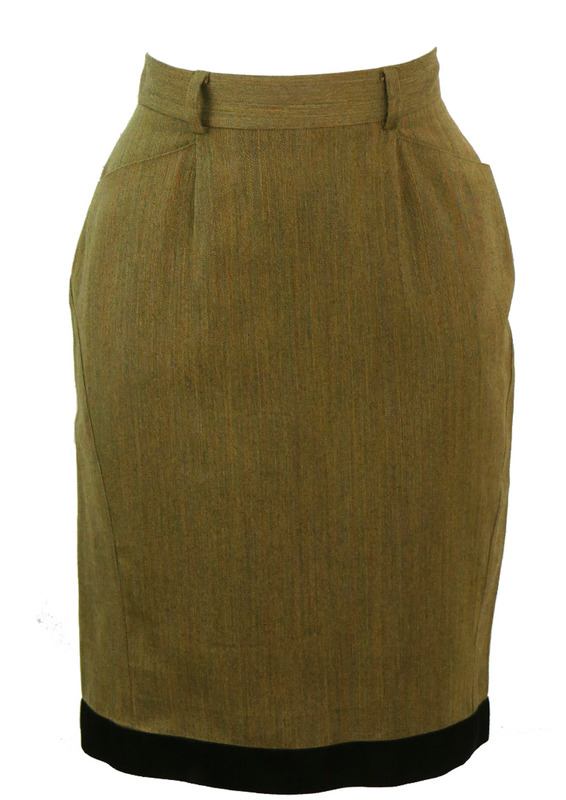 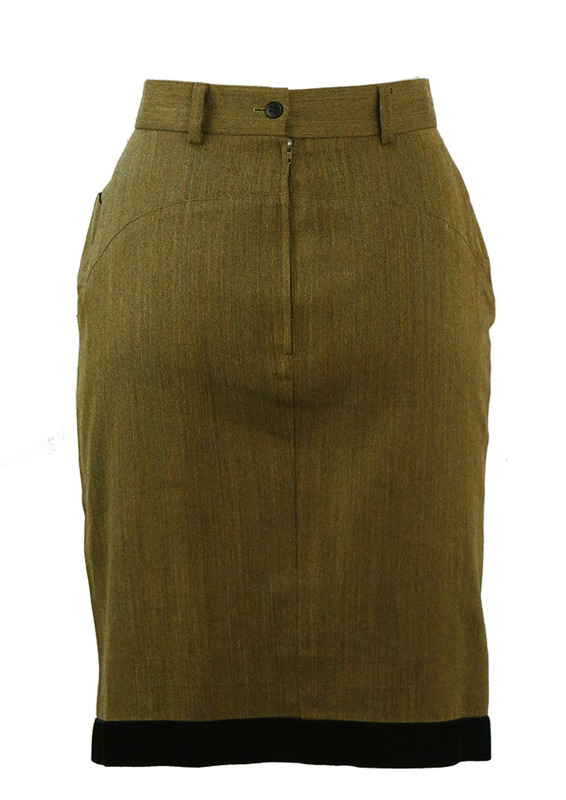 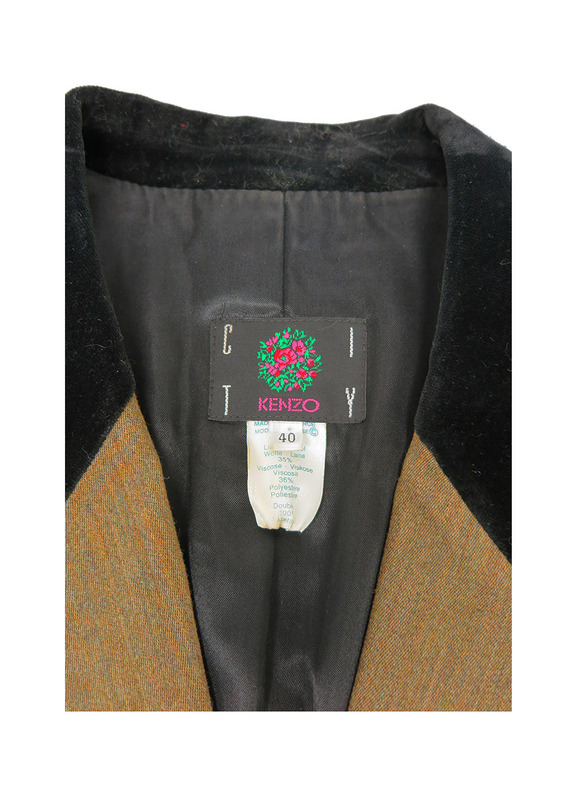 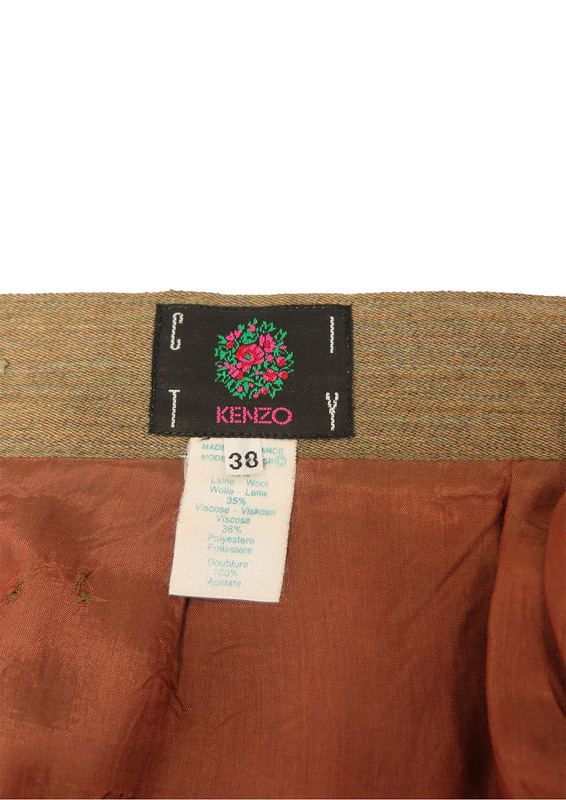 Kenzo skirt suit in a soft mottled colourway of olive green & brown featuring black velvet trim at the jacket collar and skirt. 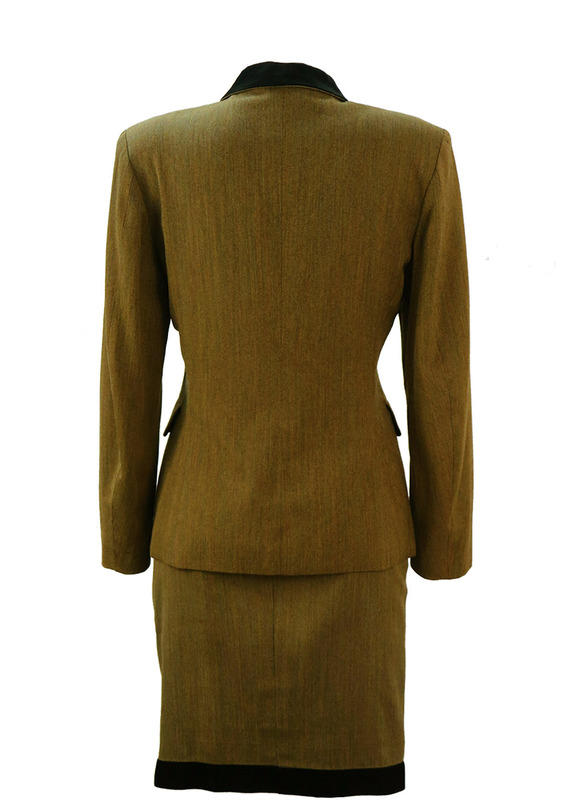 The suit is fully lined and beautifully structured with the jacket cinching in at the waist and the skirt featuring slightly raised curved seams, tapering in to form a pencil skirt shape that sits just above the knee. Please note that the original sizing label of the jacket states a size 40 and the skirt sizing label states a size 38. 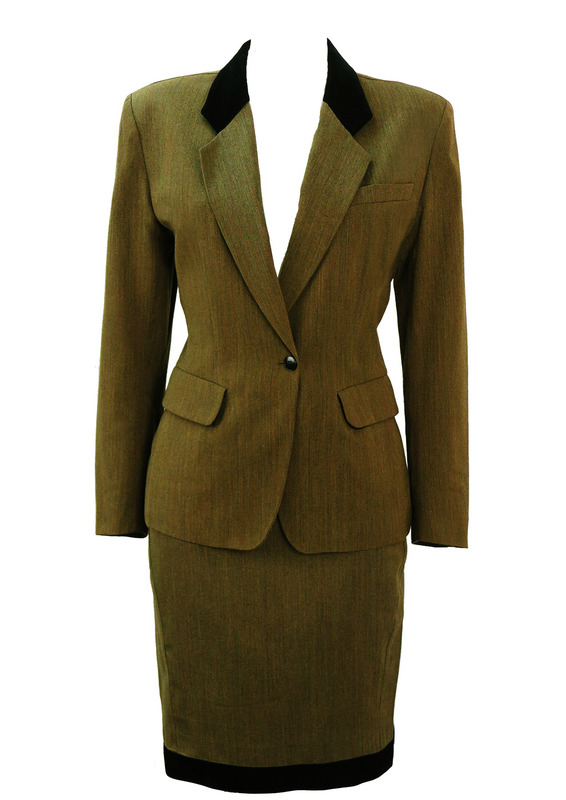 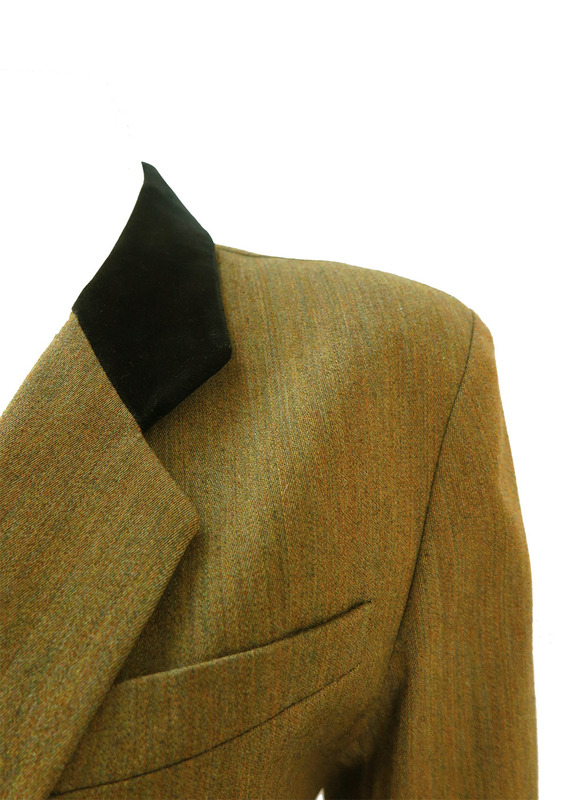 We have extensively measured both the jacket and skirt to provide more up to date, accurate measurements. 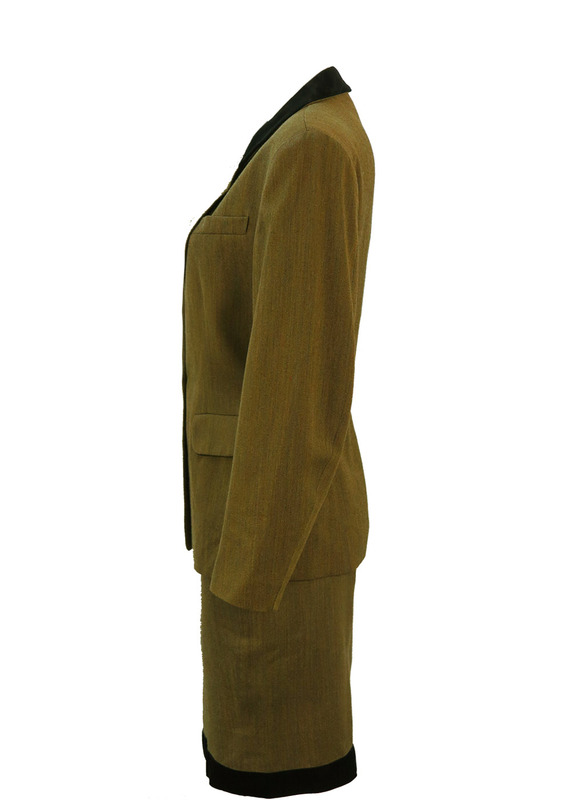 Jacket – 26", Skirt – 22"